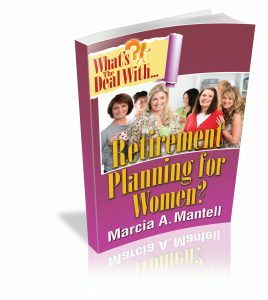 So, what’s the deal with retirement planning for women? Have you been reading my book? Thank you so much! I hope you are getting some good information and interesting new ideas for how to think about your own retirement. I wanted you to have some materials to make the planning process go a little easier. These are the topics I have found helpful in my thinking, getting organized, and having discussions with my husband. They are all available for you to download. Do let me hear from you about how your planning is going: What is most surprising? Where do you think you will spend most of your money? What are you most looking forward to? Come back often to read new ideas from other Baby Boomers about how they are redesigning retirement. « What will you be doing in retirement?